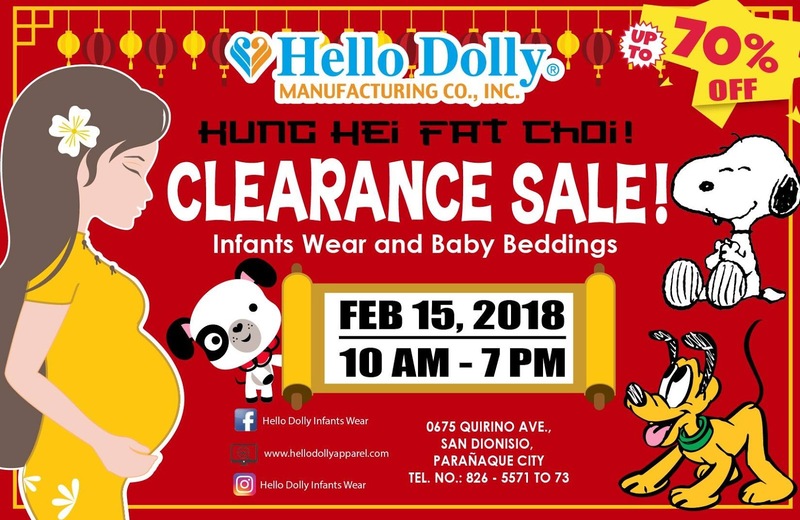 Check out Hello Dolly's Chinese New Year Clearance SALE on February 15, 2018 from 10am to 7pm at Quirino Avenue, San Dionisio, Parañaque City. Enjoy discounts of up to 70% off on infants wear, baby beddings and accessories! Useful websites: Read manga online for free in high quality and most full at mangafox. Free online games madalin stunt cars 2.